Do you have an idea which is the second largest item in Britain's budget? And the first? And do you know which are the first two in the Bulgarian budget? On Wednesday while I was listening to the spending review the British Chancellor of the Exchequer was making before the British parliament, I was astonished. Not because he announced the most drastic cuts of public spending for the last almost 100 years, but because of the reasons for which David Cameron's coalition government had decided to undertake this (presumably politically suicidal) move. And even more astonishing for me was to hear and see the priority areas which will remain almost untouched by the cuts. So, let me answer to the above questions. The second largest item in the British budget is education and the first is health care. 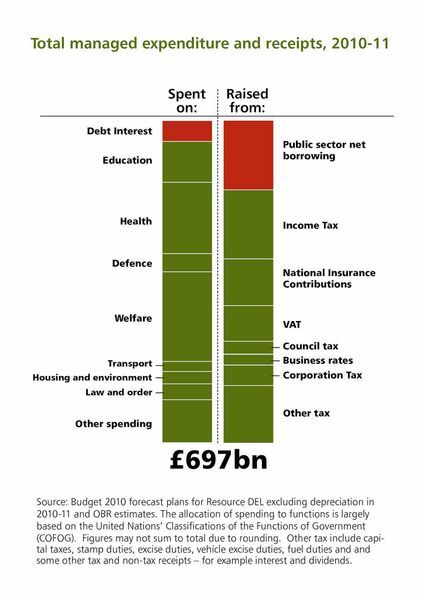 In numbers the situation is as follows: the planned public spending in the budget of the UK for this year is 697 bn pounds and the expected revenues are estimated at 548 bn pounds. This results in a budget deficit of 149 bn pounds or, as the British prefer to call it - borrowing of 149 bn pounds. In other words for education the government is setting aside 57.6 bn pounds and for health care - 106.4 bn. You can draw your own conclusions of the total 697 bn pounds spending what share 57 bn is. And not only that these two sectors will not be touched by the spending cuts, but both will receive additionally 2 bn pounds each. I should tell you that it took me a great lot of mental energy to try and find out what is the budget for education of Bulgaria. I either found it as a share of GDP, although every source would quote a different number, or I would find it in some numbers, presented in thousands and spread in such a way that instead of clearing the picture, one gets even more confused. Anyway, I have decided that I should use the number, shown in the budget review of July this year in the paragraph "transfers and subsidies from the central budget". The Bulgarian government had set aside 349 mn levs for education (178.97 mn euro). In order that you be able to compare the scales, there is the budget for 2010 - revenues of 15 bn levs (7.69 bn euro) and spending - almost 19 bn levs (9.74 bn euro). The budget deficit is estimated to almost 4 bn levs (2.05 bn euro). The finding of the precise number for the budget for health care requires indeed a lot of efforts, but at this point we do not need this number. Instead, another comparison is very interesting, showing who is aiming for what. Thus I answer the third question - the biggest item in the Bulgarian budget goes for the Ministry of the Interior. In Britain, however, the taxpayer is paying for the maintenance of the British Home Office 10.2 bn pounds and the budget of the Office will be cut by 6% per year. In other words of the total 19 bn levs public spending in the Bulgarian budget, the government is setting aside 1 bn for the Ministry of the Interior. Of totally 697 bn pounds spending, the British government is setting aside for policing 10 bn. More important, however, is that the British government is not just talking about budgets but about a strategic spending review to cover the next 4 years, the purpose of which is to reduce the huge public indebtedness of Britain. 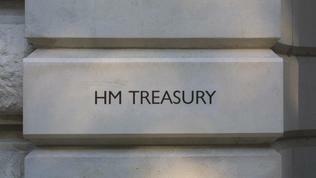 As it already became clear, the deficit in the British treasury will be 149 bn pounds which is a little over 11% of GDP. And regarding public debt, George Osborne explained to the British MPs that each day British taxpayers pay 120 mn pounds debt interest rates. 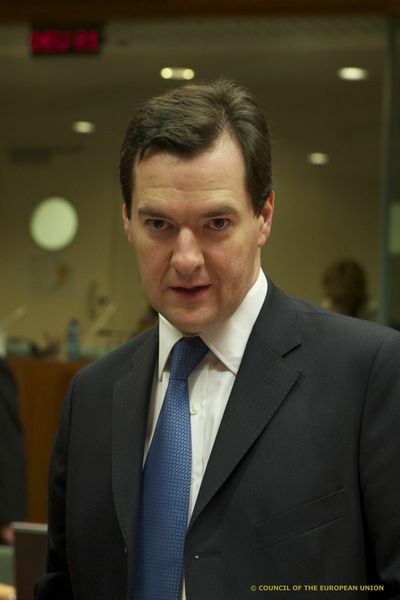 For a year the British budget pays 43 bn pounds of interest rates on loans. "We are going to ensure, like every solvent household in the country: that what we buy, we can afford; that the bills we incur, we have the income to meet; and that we do not saddle our children with the interest on the interest on the interest of the debts we were not ourselves prepared to pay". And not that the conservative-liberal ruling coalition does not blame the previous government, including for contracts for which there is no money, but this is not the only explanation for the painful austerity measures. 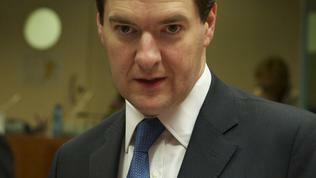 "Tackling this budget deficit is unavoidable. The decisions about how we do it are not. There are choices. And today we make them.Investment in the future rather than the bills of past failure. That is our choice". Besides, George Osborne explained that the government's choice is to spend on the country'a most important priorities - health care, education, security and infrastructure that supports economic growth. The young British government (most of the members of the cabinet are less than 45 years of age) had estimated that economic growth is being achieved through directing public spending to those sectors that could boost it, which are transport and green energy infrastructure, science base, skills and education for citizens. There is no way that you could produce a competitive produce that could drive economic growth upward, unless you have educated people or people with good skills. A major element of the savings would be the reform of public services because "less money without reform would be worse". Every public administration will have to cut its budget with a third which, according to the forecasts, would lead to the probable loss of 490,000 (yes, almost half a million) jobs in the public sector. The announcement of this number caused sharp criticism in Parliament, but George Osborne explained that these cuts would not happen overnight but in the next four years. Besides, he added, only for the past 3 months the economy has created 178,000 new jobs. 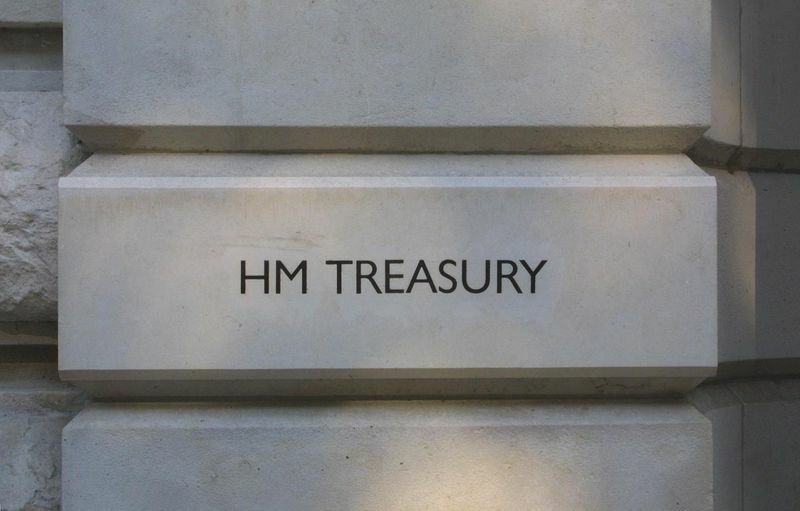 The expectations of the cabinet are the results from the spending review to lead to up to 3 bn pounds savings from the administrative budgets of the central government departments. 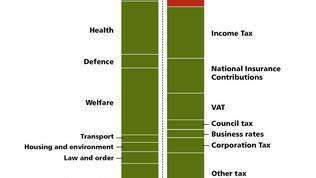 Separately the spending of the Queen's household will be cut by 14% for the period 2012-13, with which she had agreed. Untouched by the savings would be the spending of the public media BBC, given that its license would be frozen to its current levels. The government has reached a deal with the public media, being financed by fees. The aim of the agreement is the media not the increase these fees in order not to burden further the already thin budgets of the Britons. 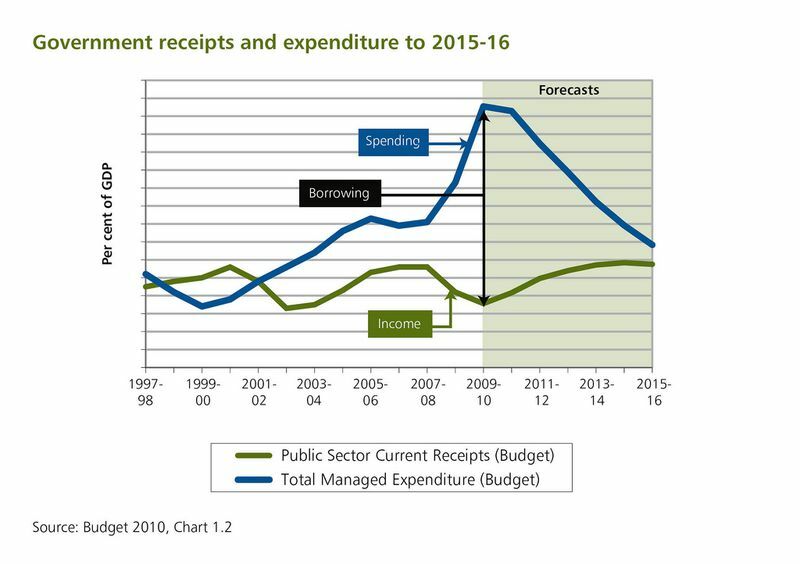 Together with the spending cuts, David Cameron's government foresees a serious decentralisation. "First, there needs to be a dramatic shift in the balance of power from the central to the local. A policy of rising burdens, regulations, targets, assessments and guidance has undermined local democracy and stifled innovation. We will completely reverse this. We will give GPs power to buy local services, schools the freedom to reward good teachers, and communities the right to elect their police and crime commissioners". The conservative-liberal coalition, ruing Britain since May also foresees a serious pension reform as well as a reform in the welfare system. Yet in the beginning of its mandate, the government launched a review of the increase of the state pension age. The review is now being completed and based upon it Mr Osborne announced that the state pension age for men and women will reach 66 years by 2020. The increase will be gradual starting from 2018 and will include an increase from 65 to 66 years. This means an accelerated increase of pension age for women. When these public service pension schemes were established in the 1950s, taxpayers made half the contributions. 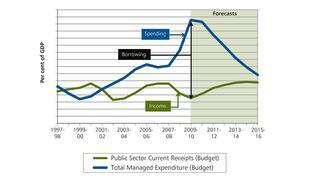 Today they make up two-thirds of contributions, and the unfunded bill is set to rise to £33 billion by 2015-16. Besides, an increase in employee contributions is also foreseen, although this would happen gradually so that the lower paid – and those in the armed forces – are protected and the highest paid public servants, who get the largest benefits, pay the highest contributions. Still the special Commission's report is being awaited which is expected to give directions to the exact nature of the defined benefit and progressive contribution rise. "Raising the State Pension Age is what many countries are now doing, and will by the end of the next Parliament save over £5 billion a year – money which will be used to provide a more generous basic state pension as we manage demographic pressures", the British Chancellor of the Exchequer explained. "Our universities are jewels in our economic crown, and it is clear that if we want to keep our place near the top of the world league tables then we need to reform our system of funding and reject – as, to be fair, many opposite do – the unworkable idea of a pure graduate tax. Clearly better-off graduates will have to pay more – and this will enable us to reduce considerably the contribution that general taxpayers have to make to the education of those who will probably end up earning much more them". Except this remark, the British Chancellor of the Exchequer has another revolutionary (according to the Bulgarian mentality) idea: "Britain is a world leader in scientific research. And that is vital to our future economic success. That is why I am proposing that we do not cut the cash going to the science budget. It will be protected at £4.6 billion a year". Well, you might say that after all the British are a leader in scientific research and not feudal elders (as the Bulgarian finance minister called the scientists in Bulgaria), but the logic behind it is interesting - science is important, education is important, this is why we must ensure money for them, even if this would mean further tightening of belts for everyone. Unfortunately, here it is easier to tell universities - whether you will reform or not we don't care - you will not see any money. George Osborne criticised the previous government several times for the current situation but what impressed me was that his ideas actually do not abolish those taken by the Labour for the last 13 years, but build up upon them. Furthermore, Osborne had made an effort to respond in advance to Labour's criticism by saying: "Britain is a world leader in scientific research. And that is vital to our future economic success. That is why I am proposing that we do not cut the cash going to the science budget. It will be protected at £4.6 billion a year". This, of course, did not prevent the Labour to heavily criticise the spending review and state that there are other painless ways to reduce the monstrous public debt and the budget deficit. Alas, it is a fact that when such a debt threshold is reached there are no measures that could relief the pain. More over, against the backdrop of the upcoming trade wars it is of utmost importance Britain to succeed in putting its public finances in order and to reduce its debt. Thus the country will reduce the need of interference in global money markets in order to increase its competitiveness by boosting economic growth. Because, after all, such actions are just an ordinary boomerang. As euinside has written many times, reforms are not always a symbol of a loss of political dividends, on the contrary. Especially in times of a crisis - when society is told what the situation is and what are the ways to overcome it, of course there will be discontent people, but society in general would back its government and would say - well, let us be patient for a little while so that we could have a better future and not leave to our children a burden we ourselves are unwilling to take now.